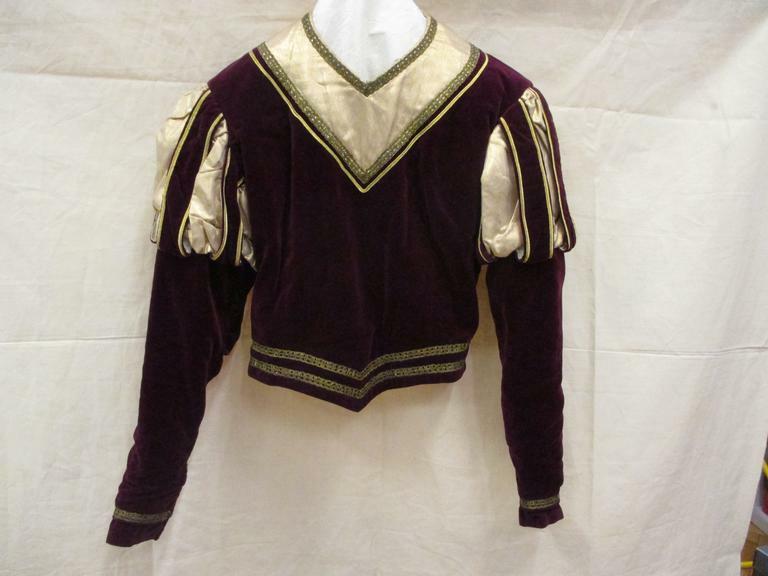 Costume for the Nutcracker Prince worn by Kenneth Melville. Tunic of crimson velvet with V-neck, long sleeves and pointed edge at centre front. Around the neck is a deep V shaped band of gold lurex tissue edged with gold tinsel braid outlined on the main body with gold Russia braid. The lower edge is trimmed with two rows of gold tinsel braid. 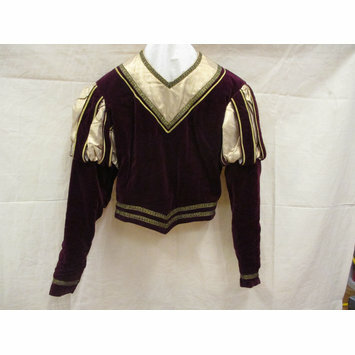 The long sleeves are wide, fitting to the wrist; from shoulder to low on the upper arm is a puff of gold lurex tissue, banded with strips of crimson velvet edged with a line of gold Russia braid. The tunic is lined with off white art taffeta and fastens at the back with large hooks and eyes and at the cuffs with hooks and eyes. 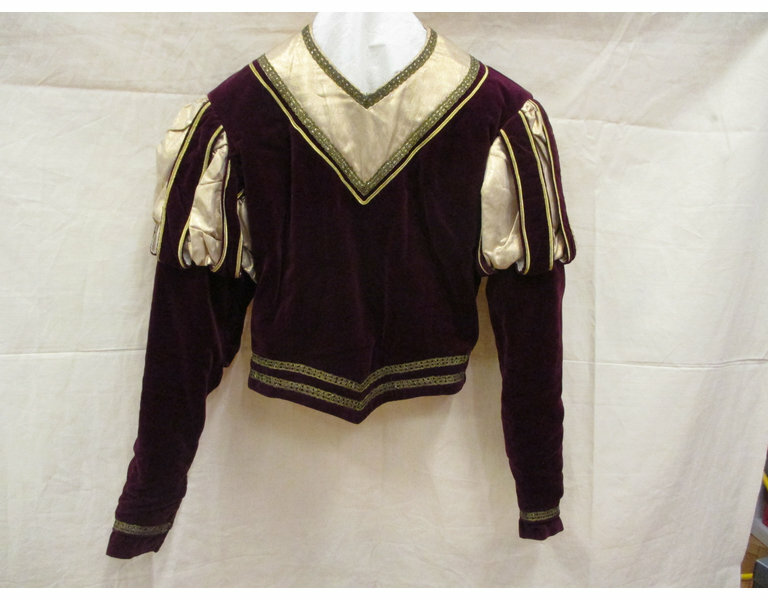 Costume for the Nutcracker Prince worn by Kenneth Melville in Lev Ivanov's ballet 'The Nutcracker'. Unidentified production.